What Are the Tax Benefits of an LLC? One of the most popular ways to organize a business is as a limited liability company, otherwise known as an LLC. LLCs require less paperwork than C corporations and S corporations, while giving owners some of the same protections against being held personally liable for any actions of the business. But the true advantage of this title comes in the form of tax benefits. LLCs give business owners significantly greater federal income tax flexibility than a sole proprietorship,a partnership and other popular forms of business organization. Read on to learn more about the tax benefits of an LLC. The key concept associated with LLC taxation is pass-through. This describes the way the LLC’s earnings can be passed straight through to the owner or owners, without having to pay corporate federal income taxes first. Sole proprietorships and partnerships also pay taxes as pass-through entities. These businesses pay no federal income taxes themselves. Instead, their earnings are passed directly to their owners, who pay taxes on them at their individual income tax rates. This is different from standard C corporations, which are subject to double taxation. More specifically, the corporation must pay taxes on its income. Then, any distributions to its owners are also taxed as individual income. Clearly, avoiding double taxation can save significant money in the long run. That’s one of the main tax benefits of an LLC. An important feature of an LLC is that the Internal Revenue Service (IRS) allows business owners to choose the way their business will be taxed. They can choose to be taxed as a sole proprietor, a partnership, an S corporation or a C corporation. You choose how you’ll be taxed by filing IRS Form 8832. There are some limitations on the aforementioned choices. An LLC with multiple owners can’t choose to be taxed as a sole proprietor, for instance. The IRS will automatically tax an LLC as a partnership if it has more than one owner. You can learn more about rules for taxing LLCs from the IRS backgrounder on Form 3402, covering taxation of LLCs. LLC as a Sole Proprietorship If you choose to set up your LLC as a sole proprietor, you’ll have to report whatever profit or loss the business generates on your personal tax return. You will file a Form 1040 individual tax form along with, usually, a Schedule C business profit or loss form for the LLC. LLC as a C Corporation If you elect for your LLC to be taxed as a C corporation, you’ll file the Form 1120 corporation tax return. The corporation will have to pay a tax on profits. Members will report any of this income that is passed on to them on their individual tax returns as dividends or interest and, once again, pay taxes on it. Note that if the C corporation doesn’t pass some or all of its income through to members, they won’t have to pay tax on that income. LLC as an S Corporation LLCs set up as S corporations file a Form 1120S but don’t pay any corporate taxes on the income. Instead, the shareholders of the LLC report their share of income on their personal tax returns. This avoids double taxation. Multi-Owner LLCs as a Partnership The LLC will file a Form 1065 partnership return. Each owner will pay taxes according to his or her share of the profits or losses, reporting this on Form 1040 and a Schedule K-1. It’s important to keep in mind that organizing as an LLC doesn’t mean you won’t pay any taxes. You’ll still have to pay taxes on income from the LLC at your ordinary individual tax rate. The difference: The LLC, depending on how you set it up, may not have to pay business taxes on it first. Unlike wages received from an employer, income from an LLC isn’t subject to withholding. In turn, you’ll have to file quarterly tax payments of your estimated federal income taxes. Some state taxing authorities may get involved as well by taxing LLC income directly. On the other hand, some charge fees for LLCs. There are some limits to what you can do with an LLC when it comes to deducting some expenses. 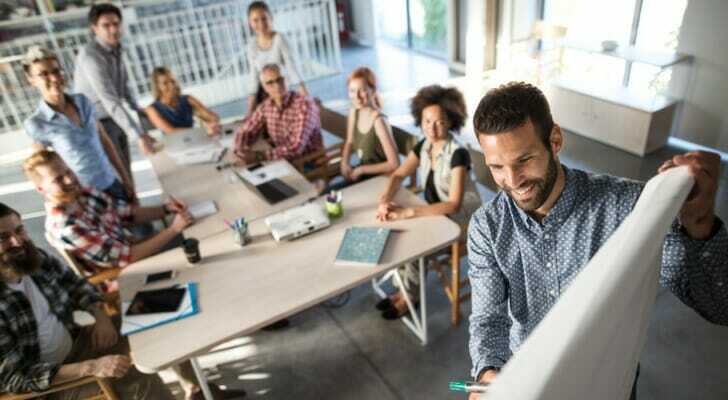 Specifically, you may not be able to deduct benefits like health and life insurance, which you might be able to if you organize as a C corporation. If your LLC provides you with these types of benefits, you may have to pay taxes on them. Limited liability corporations offer business owners flexibility in choosing how their business income will be taxed at the federal level. You can also set them up at lower costs and with less hassle than a C corporation, for instance. Furthermore, they still give proprietors some protection against liability claims as corporations do. If you’re considering how to organize your business, an LLC may be one of the options to consider. Talk the decision over with a financial advisor before you choose which way to go. To ensure that your business is being run as financially efficient as possible, contact a financial advisor. SmartAsset’s financial advisor matching tool will pair you with as many as three nearby advisors who can help you out with this. Simply take a moment to fill out our questionnaire regarding your personal financial needs and goals. Then we’ll provide you with the best options of experts to meet your particular needs. 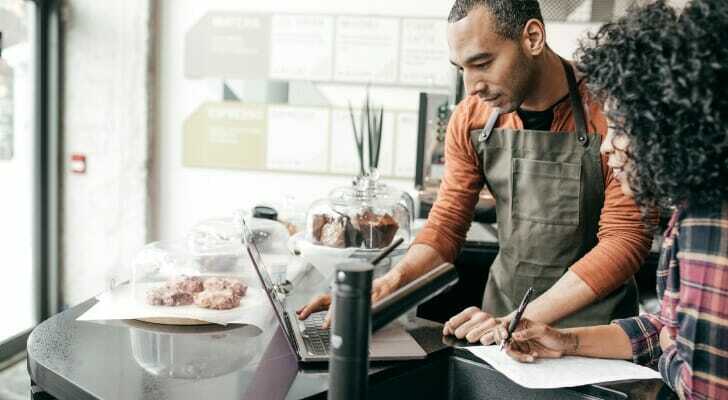 Where you bank with your business is often overlooked, but paying attention to this detail can boost your finances significantly. Check out our list of the best banks for small business to take advantage of these opportunities. The post What Are the Tax Benefits of an LLC? appeared first on SmartAsset Blog.